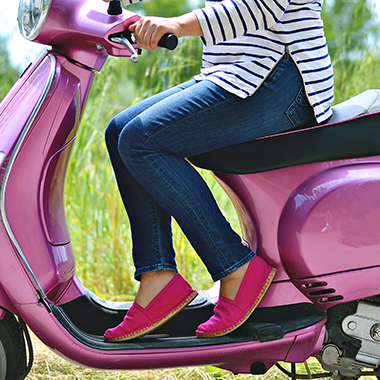 When I glanced over the itinerary of my Italy trip in the fall and saw we were going to be in Florence for a few days I knew right away I had to email Ashley, from History in High Heels to see if she would be there when I was visiting, and luckily she was! All the stars aligned and we were able to meet up during one of my free days and let me just tell you, she is one of the coolest people ever. 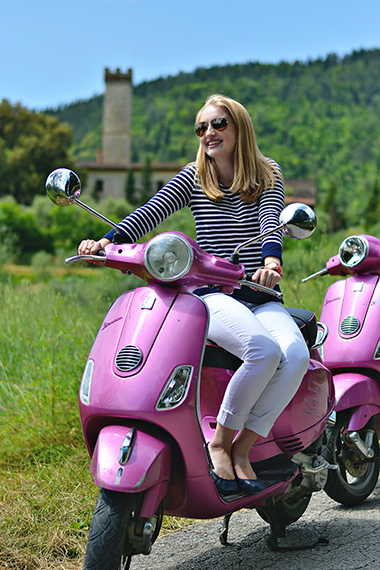 Besides her fabulous style and bubbly personality she is super smart and is currently working on her dissertation in Florence for the year. Tell me that’s not the coolest thing ever. 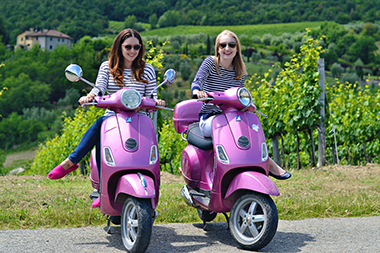 Ashley arranged for us to go on a Tuscan Vespa ride and luckily after I had just risked my life and driven on the main streets of Rome, I was able to easily navigate the quaint, quiet streets of the Tuscany vineyards. The whole experience was phenomenal. 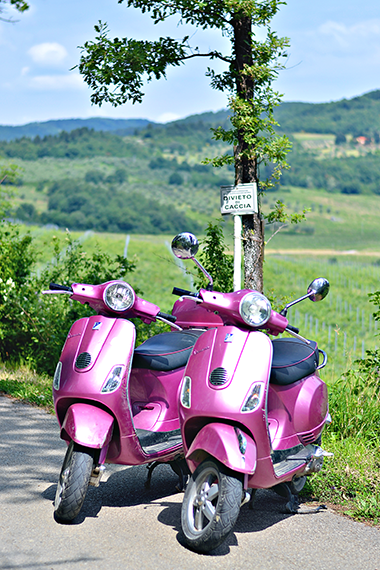 We booked our tour through Tuscan Cycle right in the center of Florence and if you’re looking for a fun way to explore the countryside of Tuscany without being too far from Florence, this is the way to go. 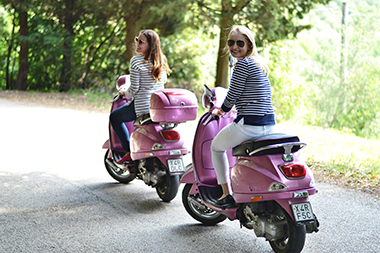 Not only did they have 2 pink Vespa’s for us to ride, we had a fabulous guide and a delicious lunch (including freshly made bread aka my weakness) waiting for us once we got off the Vespas. 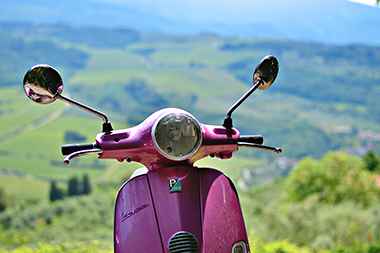 I have to admit, it was probably one of my favorite memories from this trip and I definitely think I want to make a trip back in the fall when I’m studying abroad (and go on another Vespa ride of course). I arrived in Paris Sunday afternoon, and although I was sad to say goodbye to my Furman friends and my 18 day Italian adventure it makes it easier knowing I’ll be back here to stay in the Fall! 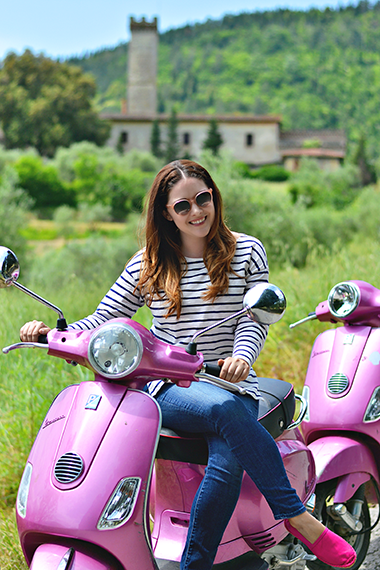 Be on the lookout in the next few days for a full reflection of my Italy trip! I’m still settling in here (and have a whole lot of laundry to do) and yesterday was my first day of my internship! 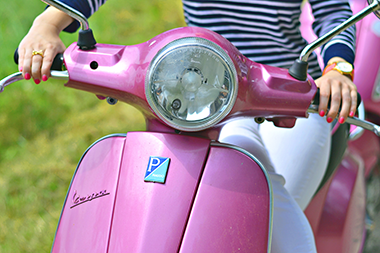 The summer is already flying by, but I’m excited to see what kind of memories wait for me in Paris! 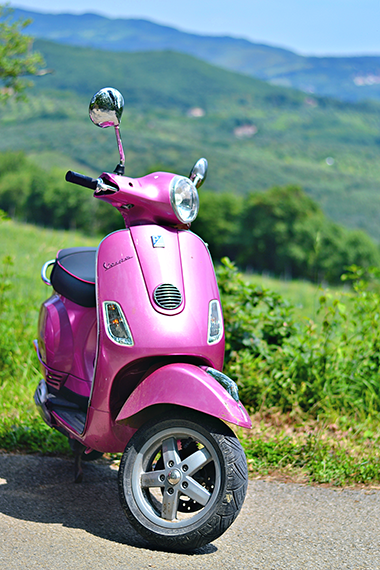 So if you find yourself in Florence anytime soon, I highly suggest booking a Vespa tour. 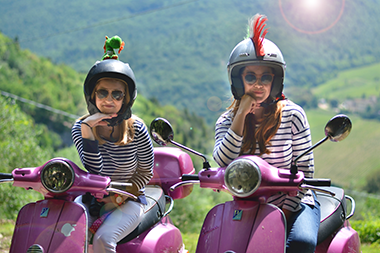 It was by far one of my favorite memories from my Italy trip all thanks to Ashely and Tuscan Cycle! Hope your internship went well. Those photos are so beautiful, it looks like you're having fun! So cute! Looks like you guys had a blast!! Beautiful! 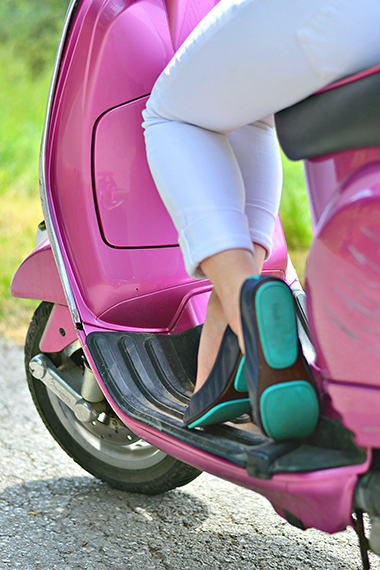 How long was the vespa tour for?